Baltazar van der Ast studied painting with his brother-in-law Ambrosius Bosshart. He also painted still lifes with flowers, although he differed from his teacher in more complex compositions. 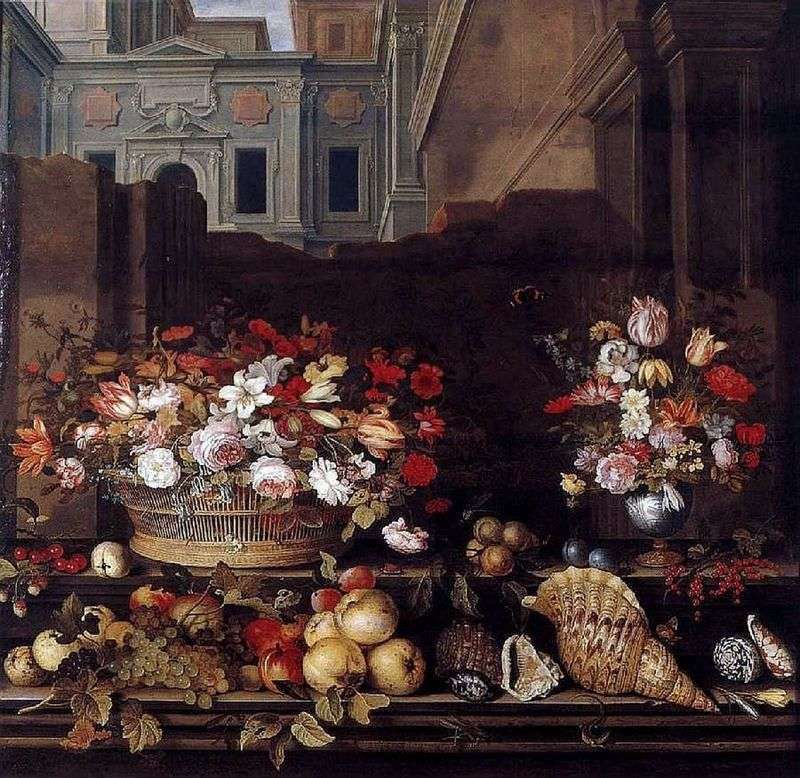 In this still life, he placed two bouquets opposite the beautiful backdrop – a building with Renaissance architecture, which probably was painted by Bartolomeus van Bassen. This strikingly asymmetrical picture is exceptionally large for a still life, its almost square format is a rare occurrence in Dutch painting of the 17th century. Description and meaning of the painting Still Life with Flowers, Fruits, and Shells by Balthasar van der Ast.